FIFA Coins are the main currency in Ultimate Team. You can earn FIFA coins from selling cards or playing matches. Depending on the difficulty of the match (offline) or how far advanced you are in divisions and tournaments, the rewards can vary significantly. Coins can be docked for offsides, fouls, cards and more. Knowing how to use the transfer market not only to buy cards on the cheap, but also sell your players for either a small loss or tidy profit, will help maintain a decent coin purse. Also, using the EA Sports Club Catalogue will help give earnings boosts to fill it up more quickly. 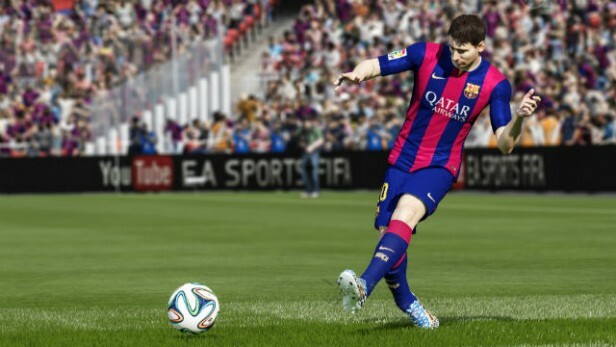 FIFA 16 includes a new mode called FIFA Draft, where players can pay 15,000 coins to enter and build a dream team of stars to take on either AI or other players in a knockout tournament of up to four games. The minimum reward you earn will match the value of the entry fee, in the form of packs, players or coins, but the higher the win streak, the greater the reward. This could be an early means of building up coins and reinvesting them in other ways and turning a profit. So if you’re confident, perhaps this new mode is a place to earn some quick cash.